Prime Minister Benjamin Netanyahu, this afternoon, met with Esther Pollard, wife of Jonathan Pollard. Former US Assistant Secretary of Defense Lawrence Korb and Effie Lahav, head of the Committee to Free Jonathan Pollard, also attended the meeting. 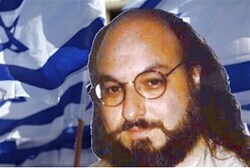 President Shimon Peres will ask President Barack Obama to grant a pardon for Jonathan Pollard on humanitarian grounds. Pollard, incarcerated for some 27 years on a single charge of passing classified information to an ally (Israel), has been in increasingly poor health. He was hospitalized several times over the past year, including for emergency surgery. 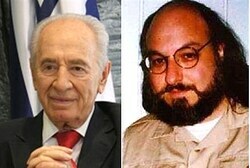 Peres has said he will discuss the issue of a pardon for Pollard with Obama during a private meeting. Since he is himself a president who has the ability to grant pardons, Peres said, he understands the many concerns involved. The Israeli president spoke with reporters at a briefing he held at Blair House, the official White House guest residence at which he is staying while in Washington D.C.
Jonathan Pollard and millions of Jews are hoping Obama will free him from jail when he awards Peres the US Freedom Medallion Wednesday. Jonathan Pollard and millions of Jews are hoping President Barack Obama will free him from jail when he awards visiting President Shimon Peres the U.S Presidential Freedom Medal Wednesday. In the cold world of politics, the “Jewish vote” may be the only factor that determines the fate of Pollard, who has been languishing in prison for more than 26 years. With all polls showing that President Obama has 60-64 percent of the Jewish vote, as opposed to 78 percent four years ago, his political calculations of how many votes he can gain for Pollard’s freedom probably will outweigh humanitarian considerations. However, the act of working on behalf of a foreign country, even if an ally, claws deeply into the skin of American patriotism, and American Jews are far from united on whether the U.S. president should exercise his authority and pardon Pollard, despite his deteriorating health. Pollard was sentenced to life for a crime that usually carries a punishment of 2-4 years in jail – passing on classified information on behalf of a foreign country. He was not convicted of spying, but mainstream media continue to call him a “spy for Israel.” The information Pollard handed over while working at the Pentagon is believed to have involved the Iraqi nuclear reactor, which Israel subsequently destroyed in a bombing raid. The information was not damaging to U.S. security, and an increasing number of American officials have said that Pollard did not get a fair trial and was punished unfairly. Conservative Rabbis stream told Obama Pollard has served an unprecedented period of time in jail. Rabbis from the Conservative Jewish stream met with President Barack Obama Wednesday and asked him to set Jonathan Pollard free immediately. As justification for the request, the rabbis said that the time served by Pollard was unprecedented in view of his offenses, and noted his deteriorating health. The meeting was originally planned to be held with White House Chief of Staff, Jack Lew. However, Obama popped in for a surprise visit. More than 60,000 call on Peres to help free Pollard before it is too late. More than 60,000 people have signed a letter calling on President Shimon Peres to do whatever he can to free Jonathan Pollard. The campaign for Pollard’s freedom has taken on new energy as the date on which Peres will be given the Medal of Freedom approaches. Members of Knesset, Canadian rabbis and Gilad Shalit are among those who have called on Peres to turn down the prestigious prize if Pollard is not released. Activists say the campaign is just getting started. Over the next few days, volunteers will take to the streets to distribute pamphlets explaining Pollard’s plight and calling to sign the letter. “As we get more signatures, we know that we are reaching wider circles, circles of people who may not have been sufficiently aware of the matter, who now understand that this isn’t just a matter of justice but of life and death,” campaign director Effie Yahav said. 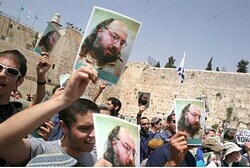 Pollard, who is serving a life sentence for giving classified information to Israel, has become seriously ill and was recently hospitalized. He has since been released, but his condition remains poor. Jonathan Pollard was transferred from a federal hospital to his prison cell. Pollard, who reportedly was rushed to a hospital outside of the prison on the eve of Passover suffering from an unspecified emergency condition, was returned to Butner Federal Correctional Complex in North Carolina on Sunday, according to the Justice for Jonathan Pollard organization. Pollard was permitted to make a short call to his wife, Esther, who reported that he sounded weak and it seemed hard for him to speak, according to the organization. Esther Pollard told her husband that Israeli President Shimon Peres had appealed personally to President Obama to grant clemency to the convicted spy for Israel. Peres has not received an official reply to his letter, according to his office. Pollard asked his wife to thank Peres and urge him not to back down. Pollard has suffered from a variety of illnesses since being imprisoned for life in 1986.